Sharing the cool things around us. 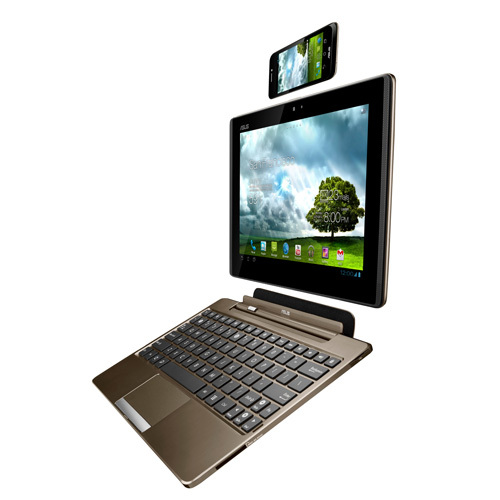 Asus Padfone – Is it gonna rock the smartphone world…? I’ve already made some bold predictions, in an article on Ezine, about where I think Asus is heading with their innovative line up of products. One of the reasons was their foray into the smart phone market. Not content with releasing yet another phone, Asus is releasing their Padfone with a 10 inch tablet(!!) as an accessory but the awesome doesn’t stop there either. The tablet comes with its own keyboard dock – very Transformer Prime-ish and to not sound too much like a tv infomercial there is also an optional bluetooth stylus that acts as a receiver if you happens to receive a phone call in the middle of drawing your next masterpiece. The 4.3 inch Padfone is powered by a 1.5 GHz Snapdragon CPU and running Android 4. The phone powers the tablet when inserted in the tablet. As a bonus the phone gets recharged whilst docked inside the tablet and both tablet and phone gets recharged whilst docked inside the keyboard dock. The keyboard holds a capacity of up to 9 charges for the padfone. 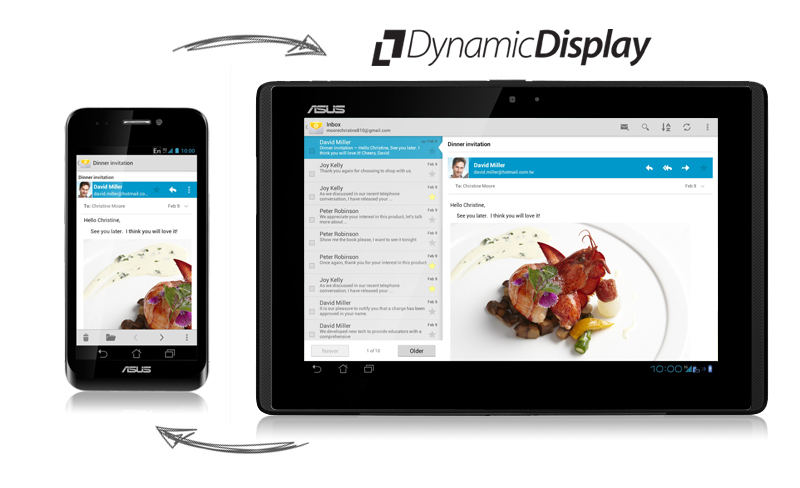 Another feature of the Padfone is called Dynamic Display, here is the description by Asus: Dynamic Display technology which allows seamless transition between the PadFone and PadFone Station display screens. The first Asus Padfones will get released in Taiwan mid April and prices will start from US$600 for the phone alone and just short of a US$1000 for the works. No global roll out details yet bit I hope to keep you posted. To read more about the upcoming Asus Padfone, check out their official website. Cool Pooch sports water bottle for man and his best friend. It is always a great pleasure for dog lovers to go exercising with their pets. Whether it’s going for a walk, go jogging or even going for a swim. Just like us humans dogs need to stay hydrated. 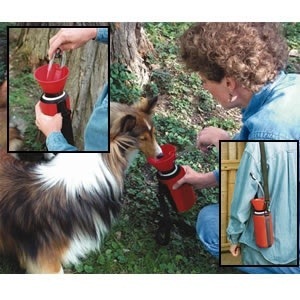 It can be a bit of a hassle carrying water and something to give your dog water in. Thanks to Cool Pooch you can now purchase a sports water bottle designed for use by you and your dog, without the slobber, of course. The Cool Pooch Sport Water Bottle has a straw and a cup on top. To use the bottle just drink from the suction tube and to give your dog a drink, bent the tube and fill the cup, easy… Rehydrating minus the slobber ( we get enough of that when they greet us). The bottle can also be purchased with an insulated sports sack with a shoulder strap (optional). This technology is already in use for recharging gaming controllers and some mobile phones. The QI consortium was formed in 2008 to allow for a standardisation of the technology for mobile phones and other devices. So expect to see more universal charging pads in the future. 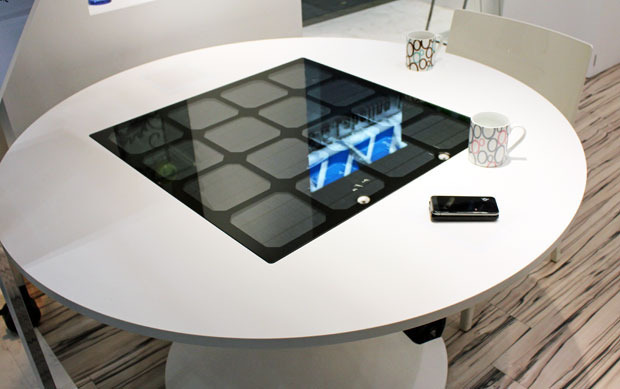 Panasonic has developed a solar charging table that combine energy harvesting with QI wireless charging. Powercast, an US company, has developed receivers that convert radio waves into DC power. These can be used in numerous automation items including occupancy and motion sensors, door locks, and access control card readers, all without the need for wires. At one end, electricity is turned into optical energy. That energy is then pointed at a receiver and turned back into electricity. Whatever device is attached to the receiver is power without any wires! Check out their cool video demo. Lasermotive is another company currently developing the laser technology. Having already won a major prize at NASA, Lasermotive is looking at powering things such as remote towers on hilltops, flying drones and more. Wireless power is set to changes our lives as much as the invention of electricity did. Wolf Digital Publishing – My web adventures now have a name. No more lost luggage with Trakdot. Put the google search box to work. Newbnutta Gamer shirts The best gamer shirts and gaming hoodies.